On this day in 1988, the McDonnell Douglas (now Boeing) T-45 Goshawk bade its first flight. A highly modified version of the BAE Hawk, the Gosahwk is a carrier-capable just trainer used by the United States Navy and United States Marine Corp. 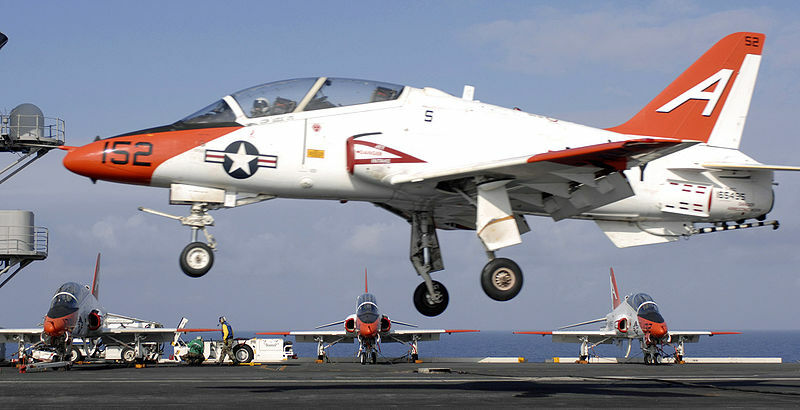 It first flew in 1988 and became operational in 1991, replacing the T-2C Buckeye and TA-4J Skyhawk II as the intermediate and advanced flight trainer. The current version is the T-45C and has updated avionics and an all-glass cockpit and will be in service until 2035 or later.